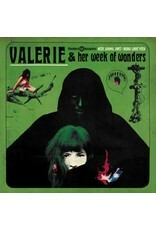 It has been exactly ten years since Finders Keepers Records first liberated Luboš Fišer’s immaculate soundtrack music for Valerie And Her Week Of Wonders (Valerie A Týden Divu) from the vaults of the Barrandov Studio in Prague. As the inaugural release of an ongoing discography of previously unreleased scores from the hugely creative “Film Miracle” that occurred during and after the Czech New Wave (CNW), this score will always retain a special place in the heart of the label as well as our listeners who consistently request an updated repress of this significant vinyl milestone. Having grown in status from an obscure and misunderstood socialist-era art house oddity, via the hands of risqué foreign fluff merchants, to finally find its rightful audience as a bonafide surrealist cinematic masterpiece of world class standards, this 1970 film adaptation of Vítezslav Nezval’s 1935 avant-garde novella (a film that literally cross-pollinated Max Ernst’s A Week Of Kindness and Lewis Carols Alice In Wonderland) has garnered widespread critical acclaim. 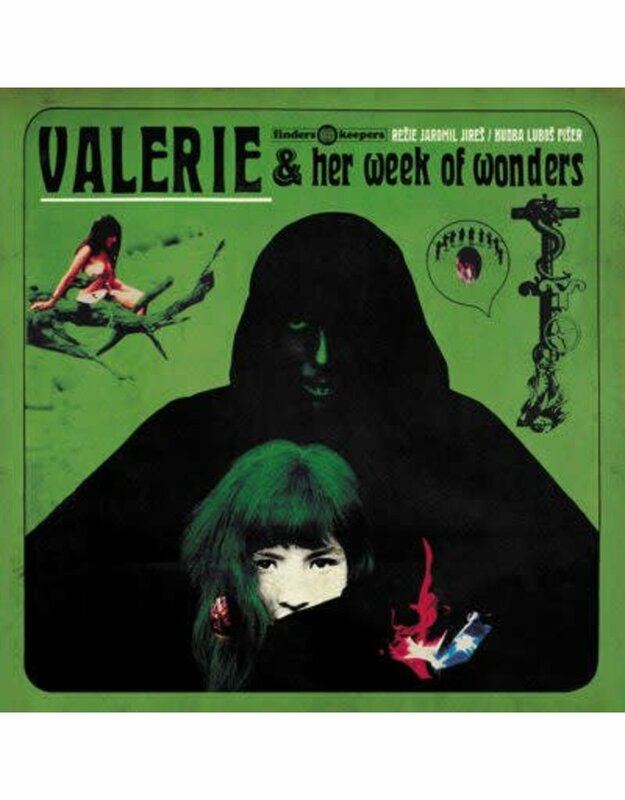 Inspiring ongoing generations of visual artists, musicians, writers and filmmakers – all of whom regard this truly individualistic and inimitable surrealist film poem to be an indelible influence – Valerie continues to impregnate their daily artistic referential fabric. Commonly considered to be the swansong of the CNW, following a huge paranoia fuelled government lm cull in 1969, owing to the fact it is last government approved feature film of the post-Prague Spring era to combine the efforts of controversial filmmakers from the FAMU (Filmová A Televizní Fakulta Akademie Múzických Umení) film school, Valerie would also be the first of an exciting and essential new fertile strain of Czech made cinema fantastique. Successfully condensing the final drops of CNW lifeblood through a series of presumed apolitical scary/fairy tales, directors like Jaromil Jireš and Juraj Herz used surrealism, traditionalism and fantasy to rejuvenate the creative energy of apathetic fillmmakers evading government scrutiny via creatively coded artistic allegories. By strategically choosing to adapt a pre-war surrealist melodrama written by a communist convert author called Vítezslav Nezval and based in a non-specific traditional era, the previously censored filmmaker Jaromil Jireš was able to craft what many consider his nest filmic hour and what would later become his most universally received achievement. Enlisting the individual talent of some of the CNW’s most formidable stalwarts, in what might have been their most creatively challenging roles, Jireš managed to unintentionally establish a new genre format that was both stylistically and sonically tuned to the trends of the impending decade thus future-proofing his career and providing a woozy gateway drug to an otherwise time-locked lost movement.